If that describes you, then the first ever Clean Living® Retreat Experience with Tosca Reno is for you. According to the World Health Organization, wellness is not simply the absence of disease. Rather, it is the presence of robust nutritional and physical habits as well as mental, social and emotional strength. Together these three practices combine to create a happier, healthier more resilient you. The ability to identify opportunities is a quality all successful people share. Turning your own qualities into an opportunity, however, is something Bobby Genovese could claim a patent on. A natural people connector with an engaging personality, easy charm and formidable marketing nous, he parlayed all of these into a business, introducing players in the financial industry to one another. He would have understood the value of mutually beneficial, peer to peer networking before the word was even coined. As his clients prospered, so did he and somewhere along the line, the BG Capital Group was born. BG Capital is an evolved version of the “turn your qualities into an opportunity” concept – it is a “turn your interests into working assets” proposition and works spectacularly well because of Genovese’s unique skill of relating to people in general and utilising the relationships he creates to cross-fertilise the BG brand. The BG brand itself comprises several divisions: a private equity capital group identifying new investment opportunities, a capital management multi-national business and asset consolidator, and a privately held real estate investment and development trust that actively acquires properties in the US, Canada and the Carribeans. One of the ways his business has evolved is through his personal interests and it’s a measure of the man’s acumen and shrewdness that virtually everything he’s fallen in love with has become a working asset. Over time he fell in love with beautiful locations and bought homes there, played polo around the world, went yachting in the Bahamas, flew planes and of course, kept making friends everywhere. The homes, 14 of them, became the BG Luxury Retreats Luxury Portfolio; BG Parks is an ecotourism and land conservation project; BG Polo is two polo clubs in Florida and a polo ranch in Argentina; BG Yachts is not just a reflection of his love of boats (he bought Paul Allen’s former yacht, Charade), but an expanding business that charters yachts in Miami. “It’s a new industry I fell into”, says Genovese casually, but there is nothing casual about it – not only does he pretty much own the FL charter market, he has plans to expand and grow it on the Med, so stay tuned. When it comes to philanthropy, Genovese has followed a similar business-like approach and rather than donate to a spade of charities (too many causes to choose from), he bought a company whose model of giving he liked, Solutions with Impact. The company raises funds through events and the Genovese-inspired car and boat rallies are hugely enjoyable as well as successful in contributing to paediatric cancer research (they have raised $17m to date). “Giving back is a privilege”, he says, echoing major philanthropists around the globe, but you can bet that Bobby Genovese and everyone involved also have enormous fun doing it. Investing in relationships that pay dividends and turning personal assets and interests into businesses, not to mention impact philanthropy, is what most of us endeavour to do either or both purposefully and on a subliminal level. Genovese has turned it into an art form. Celebrating Vero Beach, Florida’s coveted presence on the east coast polo circuit Bobby Genovese’s BG Vero Beach Polo Club will open for the 2016/17 season on October 1 with lessons, instruction, practice and coaching leagues. The 2017 polo season opener will be held on Sunday January 8, 2017. Matches will be played every Sunday at 7634 South Polo Grounds Way through Sunday April 30, 2017. Gates open at 12:30 pm; matches begin at 1:30 pm. Conboy is joined by the Club Management Team of polo players Tiffany Busch, Gaston Rodriquez and Karen Reese. Kelly Rigsby-Quam continues as Barn Manager overseeing the club’s stabling and equine welfare. •Two 4-goal tournaments, one 6-goal tournament and one 8-goal tournament. •Return of the University of Miami team led by coach Senter Johnson returns this season for a match game in March. •The legendary Memo Gracida will co-host the club’s first 8-goal tournament in March with games at Gracida’s Portales on Martin Hwy. and tournament finals at the Vero Beach Polo Club. 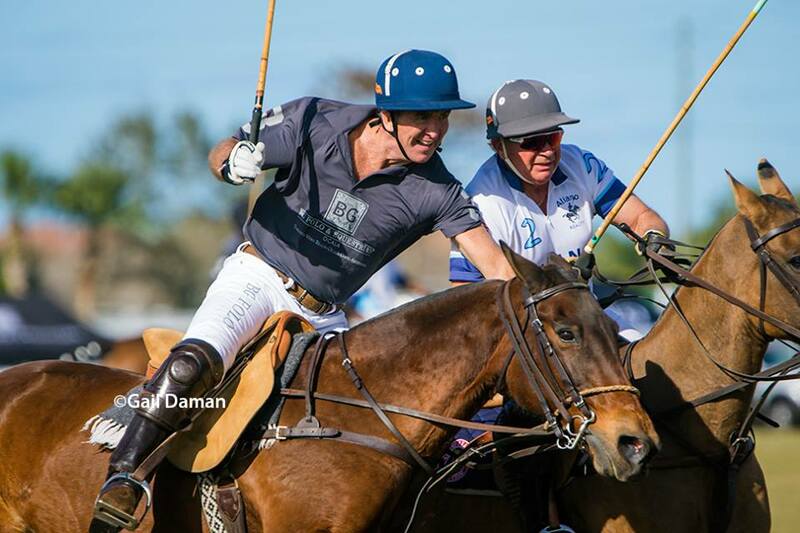 •The club will host a large-scale fundraiser for the leukemia foundation, featuring high-goal polo players from Wellington. •New this year a coaching league has been established to accommodate 0-2 and 2-4 goal players. A pro pool polo rotation will be initiated at the club’s local match games along with two chukker exhibition games in support of our youth and coaching league players. 2017 will offer exciting polo of all levels in Vero Beach. 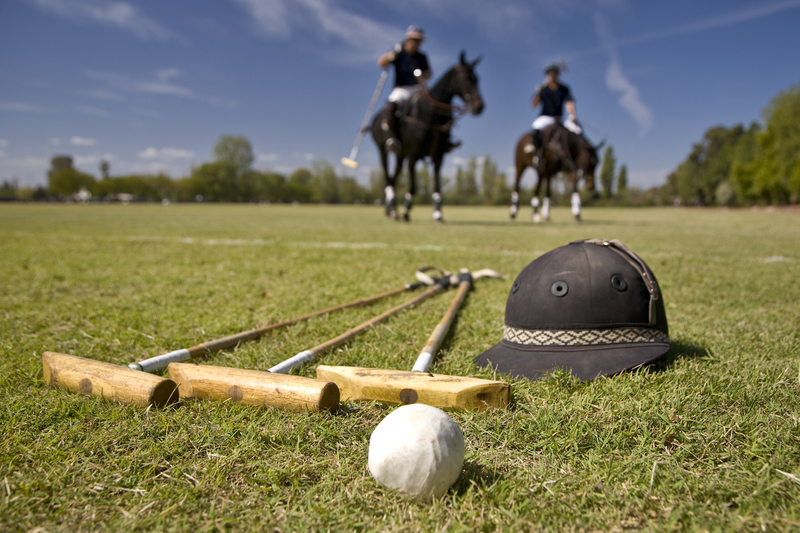 Private and group polo lessons with the club’s pros are also available through the BG Polo School. 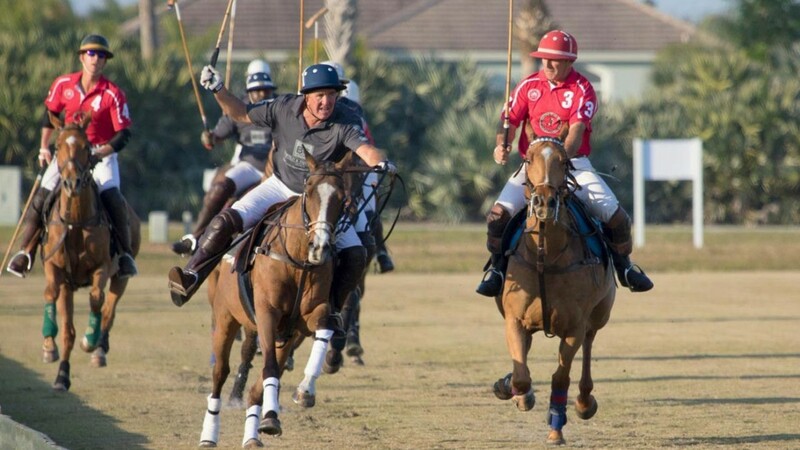 In additional to weekly tailgating, champagne divot stomping and awards ceremonies, BG Vero Beach Polo Club will host its inaugural black tie BG Polo Ball, hosted by Bobby Genovese and founding members of the Polo Club. Open to the public, this elegant evening affair will help raise funds for the club’s youth polo scholarship program and a permanent clubhouse adjoining the club’s practice field. “We are excited about the growth of the equestrian community in Vero Beach as we are our commitment to the game of polo both here and with our polo partners around the globe,” said Genovese. BG Signature is Bobby Genovese’s curated collection of luxury destinations that include private estates in the United States, Canada, Bahamas, England and Argentina. Three private yachts complete the collection in addition to polo and equestrian teaching and competition centers in Florida, Canada and Argentina. http://www.bgsignature.com. FT. LAUDERDALE, FL April 7, 2016 – The Canadian Event Industry’s pinnacle mark of professional achievement and the highest honor a Canadian event can earn has been awarded to Solutions with Impact for the “Best Event for a High Profile Charity” on behalf of the 2015 KitchenAid Cook for the Cure Culinary Showdown in support of the Canadian Breast Cancer Foundation for its creativity, logistics, use of budget, design, overall entertainment value, strategy planning, and successfully profiling the organization with an overall wow factor. In the last three years the event has raised more than $1.9 million in critical funds for the Foundation, which is the leading community-driven organization in Canada dedicated to creating a future without breast cancer. “It’s great to be recognized by our peers, which shows what can be done with the right mix of creativity and commitment,” said Joel Hock President Solutions with Impact. 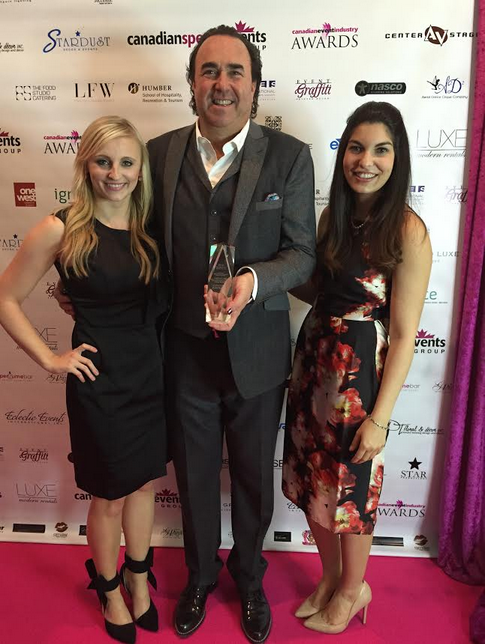 The Canadian Event Industry Awards, hosted by canadianspecialevents.com, is a national awards program which recognizes outstanding achievements in Canadian special events, meeting management, conference planning and exhibition management. SWI has been awarded the winner of the Canadian Event Industry’s Most Outstanding Logistical Achievement Rally for Kids with Cancer Los Angeles 2012: Best Event Produced for a Charitable Organization: Chef’s Challenge 2011; Event Professional of the Year: Joel Hock 2010; Most Outstanding Event Under 100,000; YPI 2008; and Best Event Produced for a Charitable Organization: Bell Celebrity Gala 2008, 2007, 2006, 2005. “This coveted award is well deserved with many more to follow,” said business partner BG Capital Group Chairman Bobby Genovese who joins Hock in his fundraising efforts as Rally for Kids with Cancer Co-Chairman, which has generated more than $15 million for The Hospital for Sick Children. Celebrating Vero Beach, Florida’s coveted presence on the national polo circuit Bobby Genovese’s BG Vero Beach Polo Club will host its 2016 season opener on Sunday January 17, 2016. Gates open at 1 pm and matches begin at 2pm every Sunday through May 1, 2016. “We are proud to host another incredible season of polo, which promises to be better than ever,” said Genovese of the club’s second season and celebrated return to the polo circuit. “Our Equestrian Director Patta Sloan Conboy has done a phenomenal job curating this fabulous club, its programming and state-of-the-art facilities. We could not be more excited.” Conboy is joined by USPA Instructor and Polo Director Max Secunda, and Barn Manager Kelly Rigsby-Quam. “We are honored to join the horse community in Vero Beach as we expand our commitment to the game of polo both here in Vero Beach and around the world,” said Genovese of his polo interests that include polo and equestrian teaching and competition centers in Ocala, Toronto, Ontario, and Pilar, Argentina. The collection is part of Genovese’s privately curated BG Signature collection of luxury destinations that include private estates in the United States, Canada, Bahamas, England and Argentina. Three private yachts and a jet complete the collection. Exhibition games will be structured to entertain both the public and to satisfy playing members. In addition, a pony league has been developed for children and families that will include both practice sessions and match play. BG Signature is Bobby Genovese’s privately curated collection of luxury destinations that include private estates in the United States, Canada, Bahamas, England and Argentina. Two private yachts and a jet complete the collection in addition to five polo and equestrian teaching and competition centers in Florida, Canada and Argentina. http://www.bgsignature.com. Solutions with Impact Announces Licensing Partnership with Maxim, Inc. Solutions with Impact, Canada’s leading event marketing company, announced they will partner with Maxim Inc., the leading men’s lifestyle brand, to bring a series of exciting MAXIM-branded events to Canada. Solutions with Impact CEO Joel Hock, and partner Bobby Genovese, BG Capital Group, and Joe Mangione, who led Maxim between 2011-12, have together formed SWI Entertainment International Inc. to produce the events as Maxim’s licensee. SWI Entertainment International Inc. will build upon the success of the renowned Maxim Party brand by launching it with a creative and exciting event in Toronto during the same weekend as the NBA All-Star weekend in February. “We look forward to bringing the Maxim brand to the celebratory atmosphere that surrounds major sporting and entertainment events in Canada, including the NBA All Star game, the Grey Cup, the Toronto Film Festival, the Calgary Stampede, Montreal Grand Prix, Honda Indy Toronto, among others,” said Joel Hock. Canadian readers of the international men’s magazine will have the opportunity to attend local parties and events previously unavailable to them in each of the cities where these events are held. 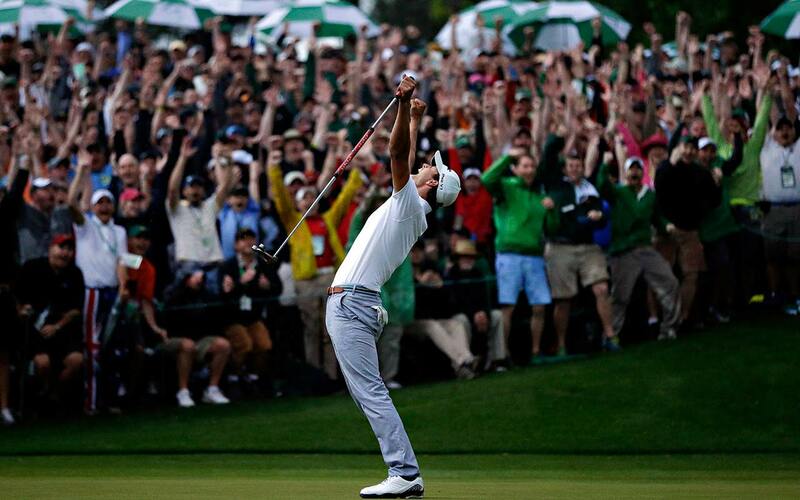 The Maxim events will include live entertainment, local celebrities, and all of the excitement and media exposure the U.S. events have garnered. “This is an exciting step to create heightened exposure for the Maxim brand in Canada, while we at Solutions with Impact continue to build a totally integrated media, marketing and event company,” said Bobby Genovese, partner of Solutions with Impact. For over 20 years, Maxim has been the leader in men’s lifestyle. In addition to its U.S. publication, the brand publishes 11 international print editions, distributed in 67 countries worldwide. With more than 25 years of experience in mergers and acquisition, BG Capital Group Limited and BG Capital Management Corporation are both based in Barbados with associate management offices in the Bahamas, Fort Lauderdale and Boca Raton, Florida, Los Angeles, Toronto and Vancouver. In 2013, Genovese developed and launched BG Signature, a global portfolio of exclusive VIP experiences and luxury retreats in the US, Canada, Europe, South America and Bahamas, including its flagship property, BG Polo & Equestrian Resort in Ocala, Florida, a 100-acre, year-round luxury equestrian retreat. A fleet of private yachts, private jet and four polo and equestrian clubs complete the collection. BG Capital Group Chairman Bobby Genovese introduces BG Experiences: a global travel division that gives private VIP access to the world’s most exciting events in the worlds of sports, fashion, culture and more. Adding to a dynamic portfolio of signature concierge travel experiences and lifestyle offerings, BG Capital Group Chairman Bobby Genovese introduces BG Experiences: a global travel division that gives private VIP access to the world’s most exciting events in the worlds of sports, fashion, culture and more. “From having a front row seat to next year’s Kentucky Derby, to sitting front and center at New York’s coveted Fall Fashion Week, to rubbing elbows with celebs at the venerable Sundance Film Festival, BG Experiences delivers VIP level access in style,” said Genovese, founder of the BG Signature collection of exclusive luxury retreats in the US, Canada, Europe, South America and Bahamas and a fleet of private yachts, jets and polo and equestrian clubs. 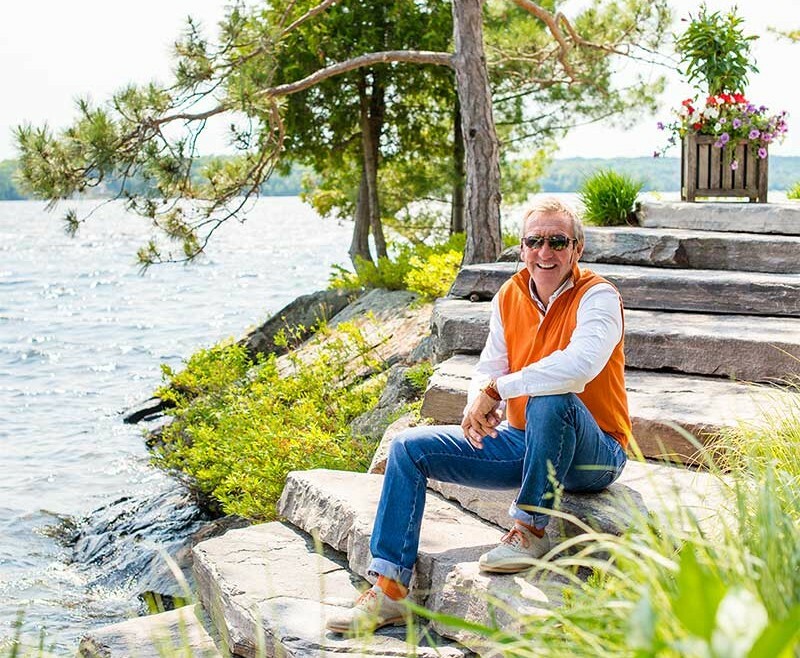 The new division is led by BG Signature President Andy Irvine who joined the BG collection in June 2015 after serving as Director of Events and Family Activities for Exclusive Resorts where he implemented and oversaw events for 3,500 members in 40 international destinations. 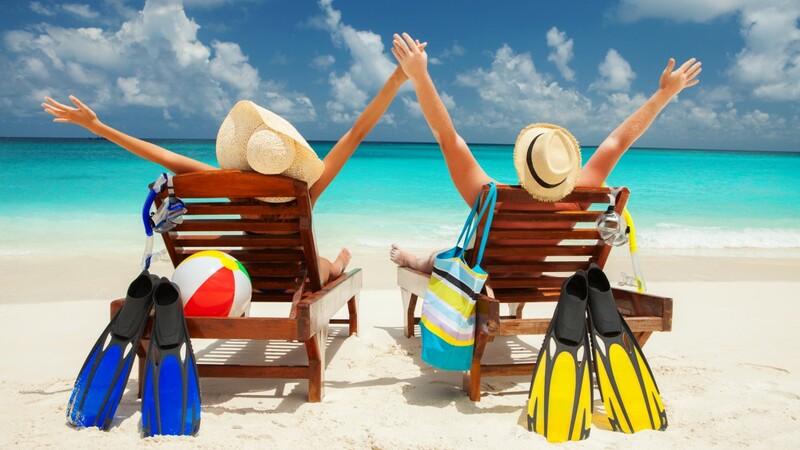 He also worked extensively throughout the Caribbean including the British Virgin Islands with Rosewood Hotels and the Radisson Resort and Hyatt Regency Grand Cayman Resort in the Cayman Islands. For information and reservations visit BG Signature.com or call 877-263-5962. Adding to a global portfolio of BG Signature experiences and concierge travel offerings, BG Capital Group Chairman Bobby Genovese has announced the latest addition to his luxury yacht division with the launch of M/Y BG CHARADE, a classic 154-foot Feadship following a complete interior and exterior refit. 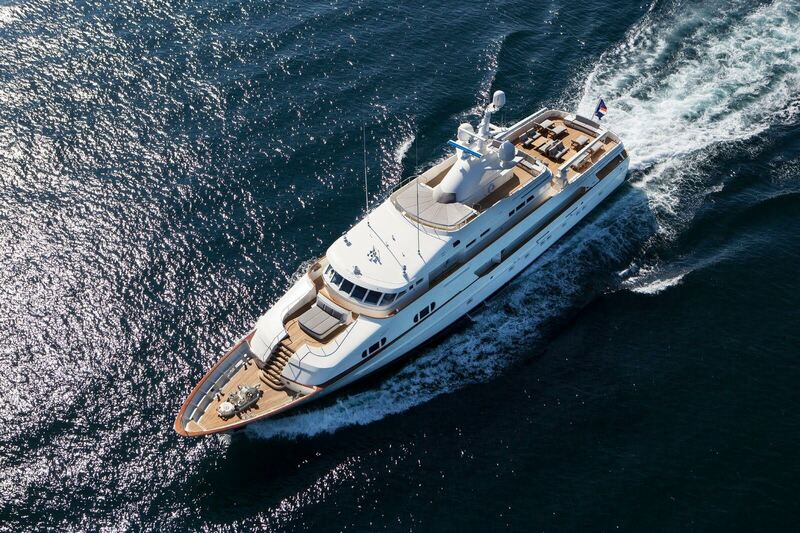 The new fully customized motor yacht boasts a modern, stylish interior with six spacious staterooms accommodating 12 guests for overnight trips. Among the changes is a more streamlined, ergonomic layout throughout, a new VIP suite on the main deck as a sixth stateroom, a new large wine display in the salon, state-of-the-art electronics and a spectacular outdoor aft deck theatre suited for al fresco entertaining and lounging. 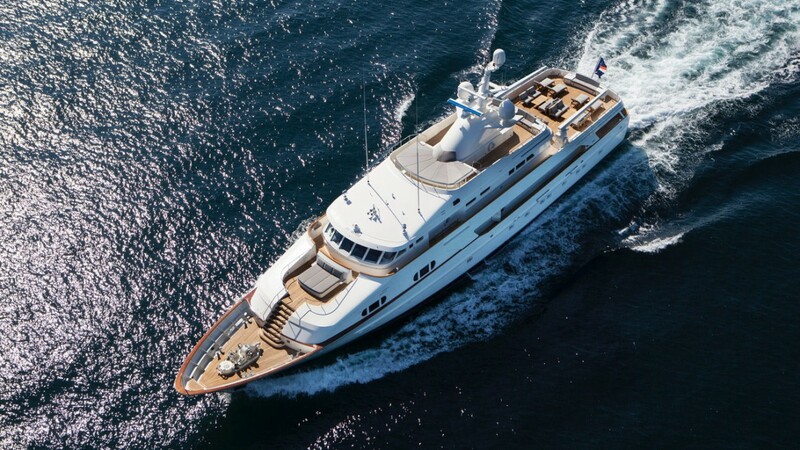 “BG CHARADE was world renown when built in 1990 as the first Feadship to have a wheel-less wheelhouse,” said Genovese who fell in love with the boat when owned by Microsoft cofounder Paul Allen. “Paul took her up the Amazon River and around the world twice, where she enjoyed a global roster of guests who undoubtedly shared my fascination and awe. She’s an amazing and storied work of art with a pedigree as unique as her lines.” And so, when the opportunity to purchase CHARADE decades later from then-owner British entrepreneur Joe Lewis, Genovese knew that life had come full circle and the yacht he had admired so was to be his destiny. M/Y BG CHARADE joins an impressive suite of yachts in the BG charter collection that also includes M/Y BG Jr., a state-of-the-art 78-ft Lazzara LSX and M/Y BG3, a 2009 74-Sunseeker Predator. For booking information contact Liliana Lopez at Propel Yachts liliana(at)propelyachts(dot)com. Propel Yachts is a boutique luxury yachting company comprised of a dynamic team of seasoned international experts providing bespoke support, advise and exclusive detail to every aspect of mega yacht charters and sales, charter management and marketing, yacht management and interior design. For more information visit PropelYachts.com. BG Signature is a global portfolio of VIP experiences and exclusive luxury retreats in the US, Canada, Europe, South America and Bahamas, including the flagship BG Polo & Equestrian in Ocala, Florida, a 100-acre luxury equestrian retreat featuring world-class stables and lodging for traveling horse enthusiasts. A fleet of private yachts, private jet and four polo and equestrian clubs complete the collection. BG Capital Group has secured a partnership with Florida’s Department of Environmental Protection to oversee recreation and hospitality concessions at three of south Florida’s most popular parks. Bobby Genovese’s BG Capital Group has secured a partnership with Florida’s Department of Environmental Protection to oversee recreation and hospitality concessions at three of south Florida’s most popular parks: Dr. Von D. Mizell-Eula Johnson State Park in Dania Beach; Hugh Taylor Birch State Park in Ft. Lauderdale; and Oleta River State Park in North Miami Beach. “We are thrilled and honored to be a major force in bringing to life and making accessible these incredibly beautiful parks for a whole new generation of visitors to enjoy,” said Genovese, who secured a concession acquisition agreement with John U. Lloyd Beach State Park in March of this year followed by restoration efforts that have since garnered rave reviews for Genovese and Director of Operations, Dane White. “Not only are we privileged to help preserve and cultivate these extraordinary natural resources but we are especially honored to play a role in restoring the popularity of these south Florida treasures,” said Genovese, whose partnership with the state began in 2013 with the acquisition and successful restoration of central Florida’s Silver Springs State Park and its glass bottom boat and kayak concessions. BG Parks will operate all watersports rentals and guided tours at John U. Lloyd Beach State Park (kayaks, paddle boards, snorkeling, scuba diving) including overseeing PADI scuba certifications and event management services (corporate events, weddings, live music, holiday events) and, soon to be opening, the BG Whiskey Creek Hideout bar and restaurant. At Hugh Taylor Birch State Park BG Parks will also operate rentals and guided tours (kayaks, canoes, paddle boards, pedal boats, bicycles, jet ski’s, segways) and event management services (corporate events, weddings, live music, holiday events) and, soon to be opening, the BG Coco’s Cafe bar and restaurant. And, just last month, BG Parks added Oleta River State Park to its growing portfolio of eco adventure offerings. As with John U. Lloyd and Hugh Taylor Birch State parks, BG Parks will operate rentals and guided tours (kayaks, canoes, paddle boards, bicycles) as well as event management services (full moon paddle tours, corporate events, weddings, live music, holiday events) and, soon to be opening, the BG Blue Marlin Fish House bar and restaurant. With more than 25 years of experience in mergers and acquisition. BG Capital Group Limited and BG Capital Management Corporation are both based in Barbados with associate management offices in the Bahamas, Fort Lauderdale and Boca Raton, Florida, Los Angeles, Toronto and Vancouver. In 2013 Genovese developed and launched BG Signature, a global portfolio of luxury retreats in the US, Canada, Europe, South America and Bahamas and private access VIP experiences that span the spectrum of events in sports, fashion, culture and more. A fleet of private yachts, private jet and five polo and equestrian clubs complete the collection. BG Capital Group’s Florida-based Cowboys Saloon; American Bar and Grill has widened expansion efforts into Arizona, New York, and Colorado by moving into former Toby Keith’s I Love This Bar and Grill locations. Bringing cutting edge innovation and a modern twist to the country western bar and grill landscape, BG Capital Group’s Florida-based Cowboys Saloon has widened expansion efforts into Arizona, New York, and Colorado with openings in locations once occupied by Toby Keith’s I Love This Bar and Grill, announced BG Capital Group Chairman Bobby Genovese and Cowboys Saloon Founder, Anthony Perera. The four new stores, which are slated to reopen next year, are located in the Park West Center in Peoria, AZ and City North Center in Phoenix, AZ; the Destiny USA shopping and entertainment complex in Syracuse NY; and the Northfield Stapleton shopping complex in Denver, CO.
“There is tremendous opportunity for a winning brand like Cowboys to gain massive market share throughout the country, especially with the help of BG Capital Group’s vast resources and the former Toby Keith store locations that we are systematically moving our concept into nationwide,” said Genovese. “More than just a restaurant or bar, we are truly an entertainment destination that engages guests from the moment the walk in and keep them entertained until the moment they leave,” added Perera. Aggressive expansion of the award-winning Cowboys brand began with the opening of its first south Florida location in 2011. The casual dining, bar, and entertainment venue has since become a major player in live music and entertainment, receiving numerous awards for its entertainment excellence. In May 2014 Perera and Genovese opened a second location in downtown Ocala following a multimillion-dollar build-out, and its 3rd location in Gainesville last summer. 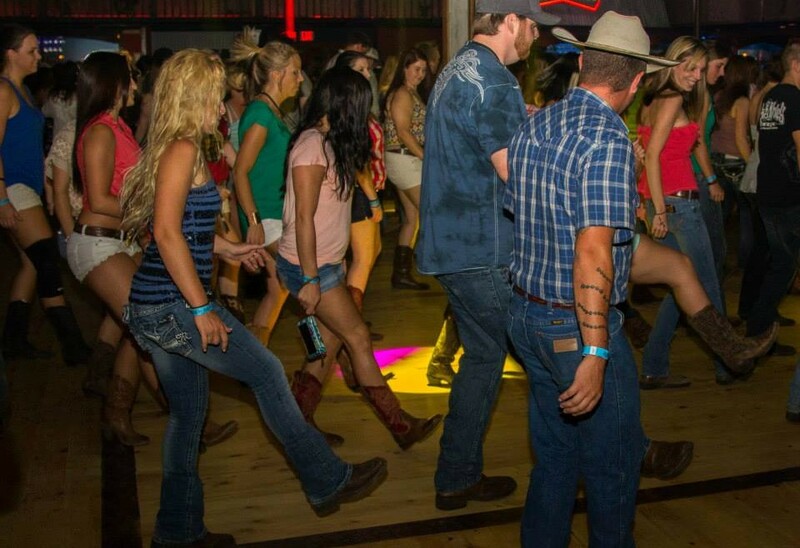 “Cowboys is now the number one entertainment spot and ultimate place for friends and families to gather and have fun in a classic western themed bar and American style restaurant that is modern and sophisticated,” said Genovese of the dining and nightlife experience that combines Americana scratch kitchen eats, a large dance floor and ample room for hosting national artists in a rustic western decor setting. The average location ranges in size from 12,000-15,000 square feet with a seating capacity for over 200 people and a concert capacity for 1,000. For more information contact Cowboys Saloon Founder/Managing Partner Anthony Perera at anthony(at)cowboyssaloon(dot)com;http://www.cowboyssaloon.com, or, Leasing Agent Josh Rush at Starpointcommercial(at)gmail(dot)com. With more than 25 years of experience in mergers and acquisition, BG Capital Group Limited and BG Capital Management Corporation are both based in Barbados with associate management offices in the Bahamas, Fort Lauderdale and Boca Raton, Florida, Los Angeles, Toronto and Vancouver. In 2013, Genovese developed and launched BG Signature, a global portfolio of extraordinary destinations in the US, Canada, Europe, South America and Bahamas and private access VIP experiences division that spans the spectrum of events in sports, fashion, culture and more. A fleet of private yachts, private jet and four polo and equestrian clubs complete the collection.